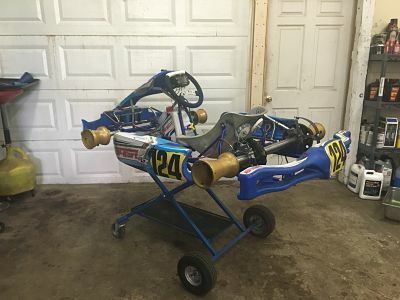 This is a 2016 Top Kart Twister roller chassis used only for 1 season. It comes with the standard gold axle and the stock vented rims. 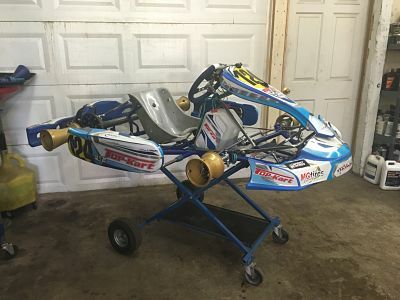 It will come with a new seat. Any size depending on the person and we will mount the seat for you. For and extra $500.00, it will come with a Mychron 4 (not the Mychron 5 in the picture) included with the AIM steering wheel and an ebox gold. An extra green axle will b included upon purchase.